Given that it is one of the most pervasive medical complaints in the country, chances are you have experienced back pain at some point in your life. If not, you might be one of the estimated 20% of people who are lucky enough to avoid this common condition. The remaining 80% can tell you that the acute pain that comes with back strain can be debilitating, even if it lasts for only a few days. Because it is such a familiar problem, you would think that back strain treatment would be standardized, like taking aspirin for a headache. 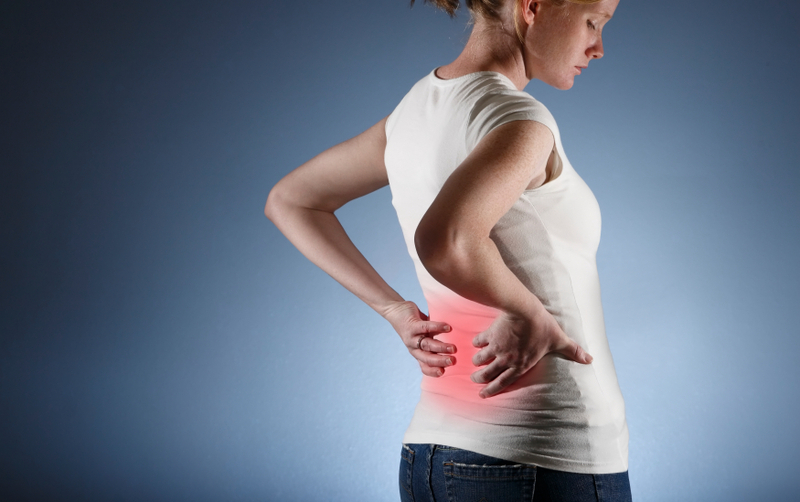 However, many people don’t know the best way to recover from back pain as quickly as possible. Find the right activity balance - It is a common misconception that bed rest is the best way to treat back strain. Although it might be painful to move, and you might not want to be active at all, staying in bed for long periods of time can actually prolong the recovery process. Of course, too much activity while you are injured is not recommended, so finding the right balance is important. Although every injury is different, a good guideline is to stay in bed for no more than a few hours at a time. Sleep on a firm surface - When you are sleeping or resting, don’t do it on a mattress that is too soft. A medium or firm mattress will provide more support for your weakened muscles. You can also strategically place pillows to provide additional support and reduce stress on the ligaments and muscles. Keep it cool - Although it is tempting to apply heat to a sore back to help reduce the pain, therapeutic cold is actually the best solution for back strain treatment. When muscles and other tissues are already inflamed, heat can contribute to additional inflammation. On the other hand, therapeutic cold is proven to reduce swelling and help control pain. Add active compression - Although heat is not recommended for back strain, one of the benefits it does provide is increased flow of blood and other fluids. You can still get this benefit with therapeutic cold if you add active compression to your treatment. Active compression mimics the body’s natural pumping action to bring fresh blood and nutrients to the injured area. This means that your damaged muscles and tissues will have more oxygen and nutrients to aid the healing process. If you want to add therapeutic cold and active compression to your back strain treatment plan, find a Game Ready provider near you to get started. You can rent a system to use in your own home or combine it with physical therapy in a clinic. Either way, you will wear an adjustable wrap that conforms to your body and pumps cold water and pneumatic air through separate chambers to simultaneously provide therapeutic cold and active compression. You can sit in the position that is most comfortable for you and you don’t have to worry about holding an ice pack in the right spot for a prolonged period of time. Are you ready to get started with Game Ready today?